Easton youth big barrel bats are a result of the commitment and desire behind Easton's mission to deliver high-quality equipment to players of all ages across the globe. For the 2018 season, the S450 series is extremely powerful, yet lightweight. Crafted out of the military grade ALX50 alloy, these baseball bats deliver fast swing speeds, large sweet spots, and premium performance you have come to expect from Easton. Each model also comes pre-wrapped with a tacky, all-sports grip that helps benefit both comfort and control through the zone. Easton: Engineered For Glory! This 2018 Easton S450 Junior Big Barrel Baseball Bat (JBB18S45011) features a drop 11 length to weight ratio, a 2 5/8-inch barrel diameter, and the USSSA 1.15 BPF certification on the taper. Easton has also utilized a concave end cap on one end to provide better overall durability and an ultra-thin 29/32-inch tapered handle on the other end with a balanced swing weight. Swing with speed and order one of these Easton youth bats today with free shipping and a full one (1) year manufacturer's warranty. Don't forget, with our 24/7 customer service, we'll be here from click to hit! 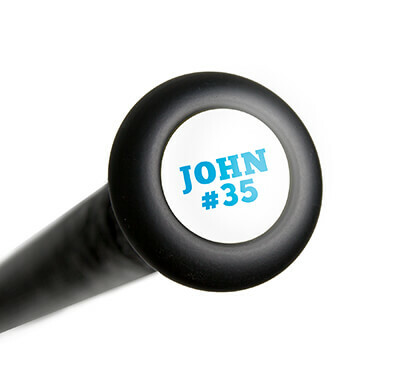 Pros: This past weekend we played a team that had one of these bats. 8U CP, the kid was not a big kid at all but when he made contact wow, the ball just left the bat in a hurry. He didn't even swing hard at all. I'm debating on getting this for my son. Anyone else out there with any ideas. Pros: Parent/Coach and my 6yr old daughter uses this bat. Not a lot of options for the girls who are till in baseball. I have 3 girls on the team who swing this and they can put it out of the infield with solid contact. Coach pitch with no denting issues just about 1 season down. Cons: Few of the kids have complained about hands hurting, so vibration is a con, but a non issue if they have batting gloves. Cons: With the first three hits my son put a dent in it with each hit. i guess thats what you pay for! Ended up forking over a little more money and bought an Omaha! game on. Pros: I told all my parents that I would only allow big barrel bats in my dugout. 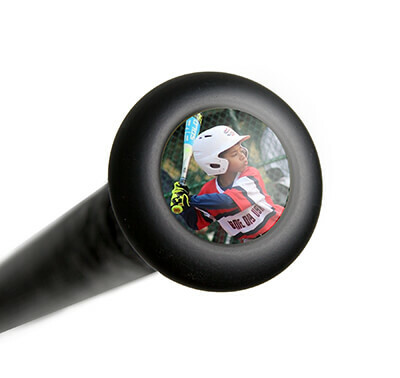 This is a awesome priced bat for those parents not wanting to break the bank on a bat before they figure out weather their kid likes baseball. I have two kids with this bat and they hit the ball just as far as the CAT 7 kids and these kids are the same size as one another. Pros: Great pop at a great price. Ball goes further than those hit with his other bats. My son launches the ball despite the bat being a little heavy for him. Cons: Wanted to make sure the bat wasn't too short so we went with the longer bat/heavier model. It's a tad too heavy for my son right now but I wanted a bat that he would grow into over the next year so it's not a major Con. Pros: Great look, great sweet spot, great feel, a really great bat! My 6 year old plays coach pitch with level 5 balls and the ball flies off the bat. When used in the yard with real baseballs it's amazing how much pop this bat has! Have a question about the 2018 Easton S450 -11 Junior Big Barrel Baseball Bat: JBB18S45011? Ask our team of experts and they will respond within 24 hours. Unfortunately, the 2018 Easton S450 -11 Junior Big Barrel Baseball Bat: JBB18S45011 will not be approved for Little League (or any USA sanctioned) play. I would recommend looking at the 2018 Easton S350 -11 USA Youth Baseball Bat: YSB18S350 if you are needing a USA baseball bat that is required by Little League this year. I think these are now approved for Little League effective this year? The 2018 Easton S450 -11 Junior Big Barrel Baseball Bat: JBB18S45011 is a USSSA model, it is not approved for play in Little League. Little League requires the use of USA stamped bats. Does the 2018 Easton S450 -11 Junior Big Barrel Baseball Bat (JBB18S45011) have the USABat certification? No, the 2018 Easton S450 -11 Junior Big Barrel Baseball Bat (JBB18S45011) is BPF 1.15 USSSA certified. Is this USA Baseball approved? The 2018 Easton S450 -11 Junior Big Barrel Baseball Bat (JBB18S45011) is not approved for USA Baseball. is this a usa bar? The 2018 Easton S450 -11 Junior Big Barrel Baseball Bat: JBB18S45011 does not have the USA Bat stamp. It is approved for USSSA league play. Is this a tee ball bat? The 2018 Easton S450 -11 Junior Big Barrel Baseball Bat (JBB18S45011) is considered a junior big barrel bat. These bats are designed specifically for coach or machine pitch baseball. Is this USA approved with a stamp? No, the 2018 Easton S450 -11 Junior Big Barrel Baseball Bat: JBB18S45011 is only going to be approved for USSSA play.